17 February, 2017, New Delhi: India has majorly been a cash based economy for as long as we can remember. The demonetisation move by the government in November 2016 did put our country on the path of being a cashless economy. In the initial period post the move as the cash flow in the market was low, many discounts were offered to customers on ellectronic transactions, transaction charges were waived off and it looked like India was on the right path of reducing cash transactions and increasing online/digital transactions. But 3 months after the demonetisation move as the availability of cash improves, people are going back to the older ways of transacting, i.e. through cash. 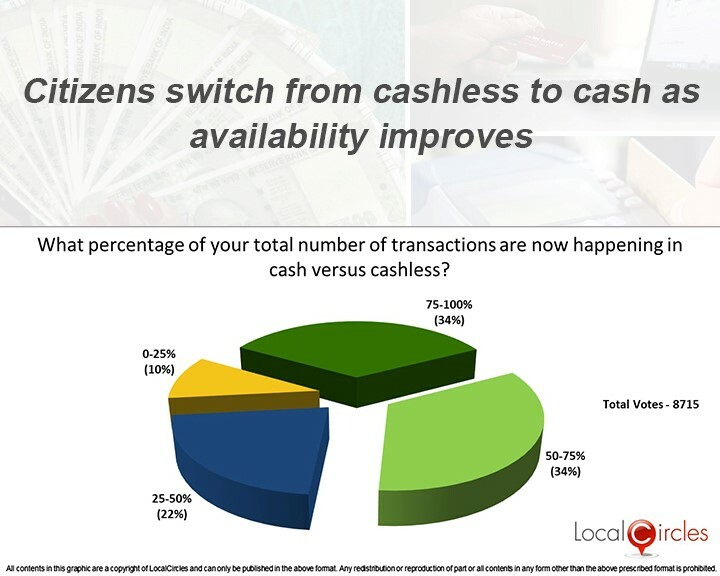 Citizen engagement platform LocalCircles conducted a survey to understand if people were shifting from cashless to cash transactions again. Out of the 8715 citizens that took part in the survey, 68% said that majority of their transactions are now happening in cash. Only 32% said that they still prefer using debit/credit cards as well as other forms of digital transactions to make payments. The trend shows that as the availability of cash is improving in the market, even the people who had started using digital payment methords after demonetization are resorting back to using cash for majority of their transactions. Some of the major reasons outlined by the citizens for this were high transaction charges for debit/credit cards as well as wallets, less availibility of of POS terminals at shops in local markets, cases of fradulent transactions etc. Citizens also made many suggestions for promoting cashless and reducing digital transaction cost. Citizens want debit card charges to be zero. Also, people want maximum merchant charges on credit card and wallet usage to 0.5%. Per citizens, merchant charges many times translate into higher cost for citizens as merchants refrain from giving discounts and enccourage customers to transact in cash. Citizens are also of the view that entities like Bhim and RuPay should have zero or minimum transaction fee in line with above recommendations and be aggressively promoted. 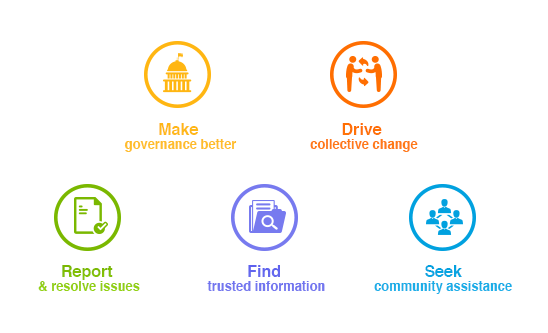 These recommendations are being submitted by LocalCircles to Department of Consumer Affairs and citizens are optimistic that the department will be able to work with the key stakeholders to implement them.